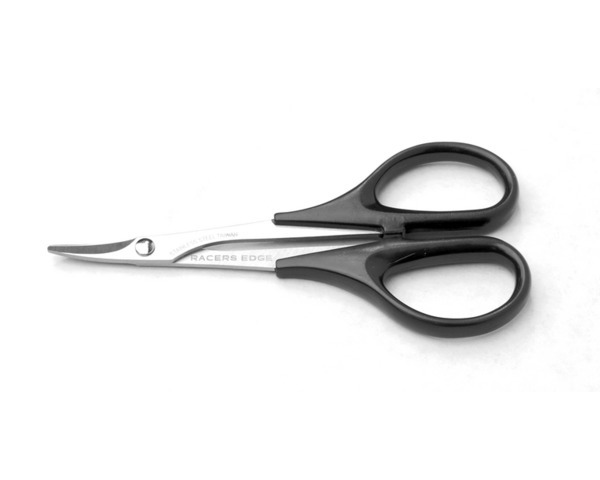 Racers Edge curved scissors are great for hundreds of hobby chores, from trimming polycarbonate bodies to delicately removing plastic model parts from their trees. Impact-resistant handles are easy to identify in crowded toolboxes, and the hardened metal blades feature laser-etched Racers Edge branding. The curved design is ideal for wheel wells and other precision trimming tasks.